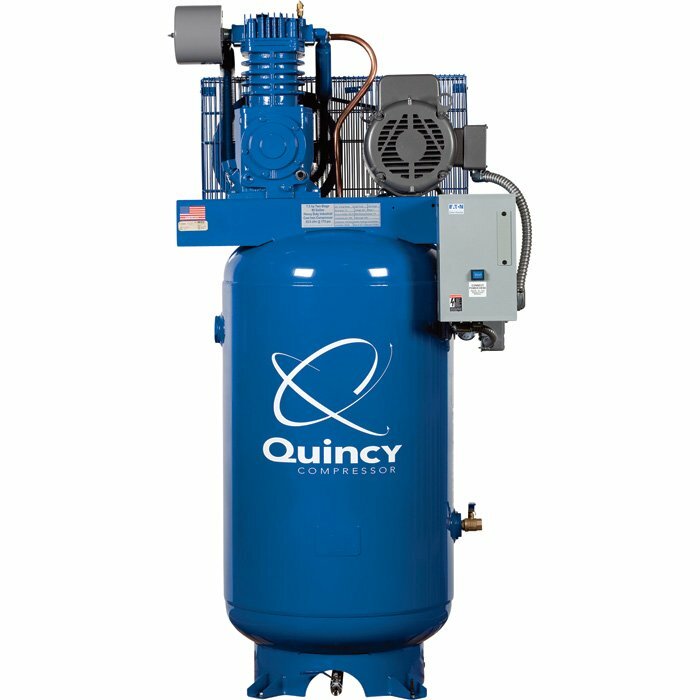 The reciprocating Quincy Compressor Two Stage Reciprocating Compressor QT is a standard duty air compressor designed to deliver more CFM per brake horsepower, ensuring the powerful, reliable performance you demand. 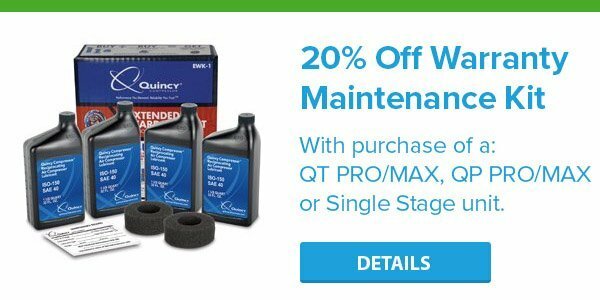 Leading the industry with the most acfm per brake horsepower, the Quincy QT™ ensures more air while consuming less energy in the production process. A one-piece aluminum head optimizes strength and dissipates heat, while Quincy’s unique valve design provides the highest volumetric efficiency available. Aluminum cylinder head is designed for cooler operating temperatures and a longer lifespan. Large, balanced cast-iron flywheel features an angled design that keeps the entire compressor cool. Interstage intercooler effectively dissipates heat between the two compression stages. High performance rings minimize oil carryover, while the balanced, counterweight crankshaft is designed for highly efficient performance. Two-piece connecting rods that provide easy serviceability. Graphite head gaskets and cylinders ensure superior sealing integrity. Wide range of tank sizes to meet your specific compressed air requirements. ASME code relief valve can be found in each compressor head, tank and discharge line to ensure safe operation.